Currently, gasngrills.com uses personal information as a basis for setting up a user accounts and to send notifications to users, "opt-in" emails, and in order to implement the terms of the Terms and Use of this website. 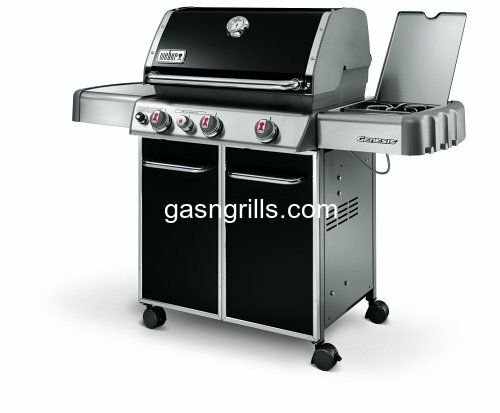 User names and email addresses (as well as any additional information that a user may choose to provide) are stored in a database on the gasngrills.com site. This information is only available to those who provided it and to the Administrators of this web site. Other Notification: In order to implement or enforce the Terms of gasngrills.com, gasngrills.com may use personal information to contact users on an individual basis. At no time, unless law requires such disclosure, disclosure is necessary to aid law enforcement, or a user specifically authorizes such disclosure, will gasngrills.com disclose individual user personal information that is not publicly available to unrelated third parties. gasngrills.com contains links to other websites. Please note that the privacy policies of these sites may differ from those of gasngrills.com. gasngrills.com is not responsible for the privacy policies and practices of any linked website. We encourage you to read the privacy Policies of any website you may visit. Users can view their data on their personal profile page. Users are permitted to update their personal information directly through gasngrills.com Service. Gasngrills.com will make reasonable efforts to assist users in updating their personal information. To secure site integrity, gasngrills.com uses measures including but not limited to security audits, use of encryption tools and software, and other reasonable security measures and procedures. Internal access to users' private and nonpublic personal information is restricted to site administrators and individuals on a need-to-know basis. In the event that gasngrills.com becomes aware that site security is compromised or user nonpublic information has been disclosed to unrelated third parties as a result of external activity, including but not limited to external security attacks, gasngrills.com shall take reasonable measures which it deems appropriate, including but not limited to internal investigation and reporting, and notification to and cooperation with law enforcement authorities, notwithstanding other provisions of this Statement.